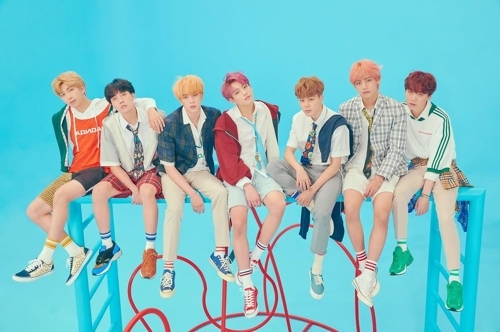 SEOUL, Oct. 10 (Yonhap) -- BTS became the first Korean musicians to receive a prize at the American Music Awards (AMAs) on Tuesday (local time), the group's management agency said. BTS was absent from the awards ceremony because of its London concerts. It sent a video message to the AMAs instead expressing thanks for granting the honor and support from its fan club ARMY. The win comes a year after the band took the stage to perform at the awards show. In May, the group received the Top Social Artist Award at the 2018 Billboard Music Awards. Last week, it had a concert at New York City's Citi Field, becoming the first K-pop artists to host an American stadium show.